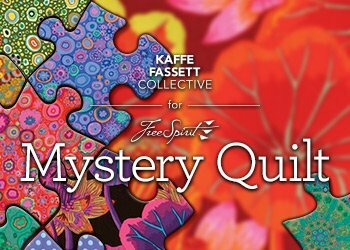 Sew Unique's 2019 Kaffe Mystery Quilt will begin in April. 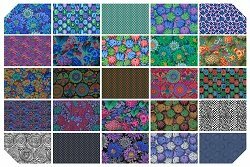 Many of the fabrics in the 2019 Mystery Quilt will come from Kaffe's new collection. It's time to register for this year's Kaffe adventure. The cost is $19.95 per month. The first payment is due in March. The last payment is due in December. The Reveal will take place January 2020. 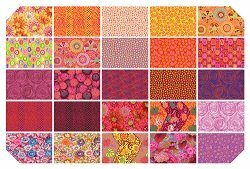 This year's mystery will include both piecing and applique. Workshops will be scheduled to demonstrate various types of applique. You can choose the method you are most comfortable with. Or...incorporate them all. It's your quilt. Truly make it yours! Sign up today! We can't wait to get started!" Oh! If you happen to be travelling (snow bird or sun seeker) during the Kaffe adventure, we'll be happy to ship each month to you for only $5.00 per month.